A few years ago the idea of recreating the Clifford Brown/Max Roach Quintet grew out of a conversation between myself and trumpeter J.Q. Whitcomb. Shortly after, it came to fruition with a quintet that neither of us could have imagined. We put on one concert replicating the music of these two jazz giants, and were met with a sold out concert and cheers off, MORE!!!! Here we are four years later and instead of trying to master the recording of that special evening, we have decided to recreate the entire concert. In 1954, two of the most highly regarded jazz musicians put together a quintet that changed the landscape of jazz for decades. 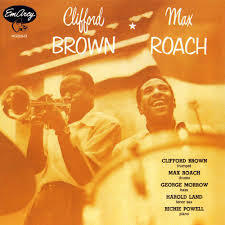 Described by The New York Times as “perhaps the definitive bop group”, trumpet giant Clifford Brown and jazz drum master Max Roach raised the bar in the brief 2 ½ years of the bands existence, which was cut short by a deadly car accident that took the life of two of the band members, including the young trumpet sensation who was only 25 years old. have become jazz standards: Daahoud and Joy Spring.